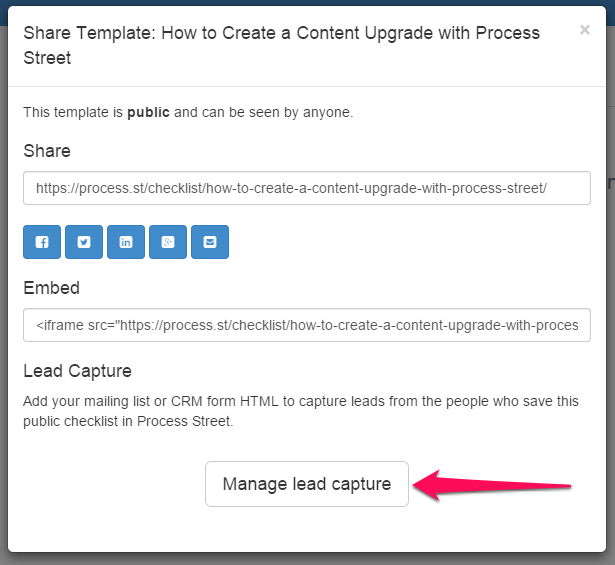 Content lock your Process Street checklists to supercharge your email list. 6 Watch as your list grows! If you use a really valuable process in your business that you think others could get use out of, you should share it with the world! Start off by creating a template and record its basic details using the form field below. Not only will it show your readers a cool internal piece of information (everyone loves that), but it will also build your email list with the power of the content lock. Click on 'share template' and you'll be asked to make it public first. Once it's public, record the public link and date it was made public in the form fields below. Making a template public is an irreversible process, so be sure you've got everything right. You can still edit a template after it's made public, but you cannot make it private again. After you've made your template public, before you can content lock it you'll need to set up a way for users to subscribe to your list to get the upgrade. 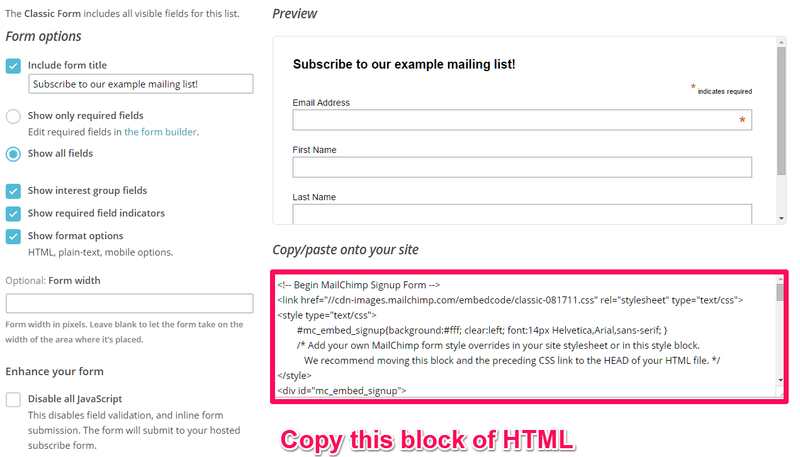 The tutorial below shows you how to get your HTML signup form code using MailChimp and link that up with your content locked checklist. 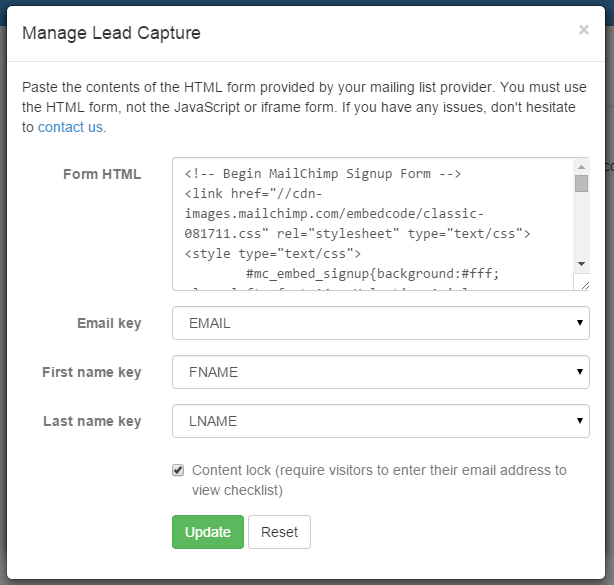 Once you have the HTML signup form code, record it in the form field below for easy access later. 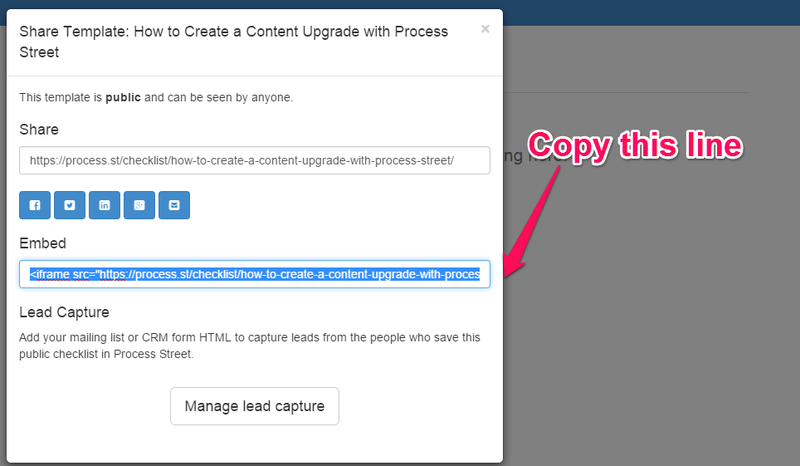 Now you need to embed the public template into your site. 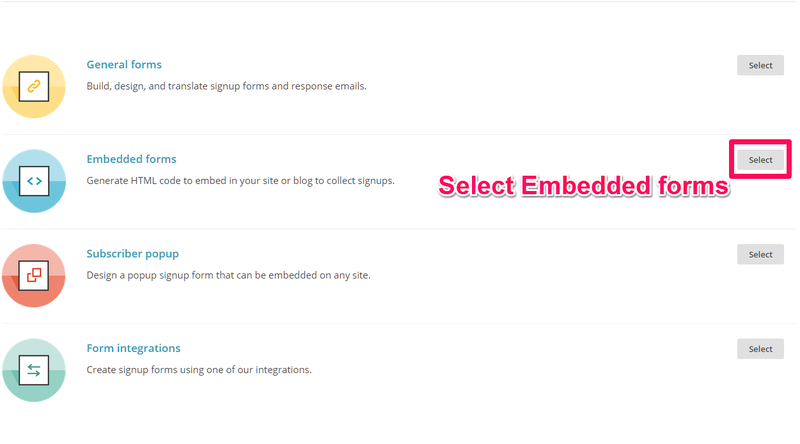 Record both the embed code and pages it's embedded on in the form fields below for ease of access. It's no use writing something if no one's going to see it. 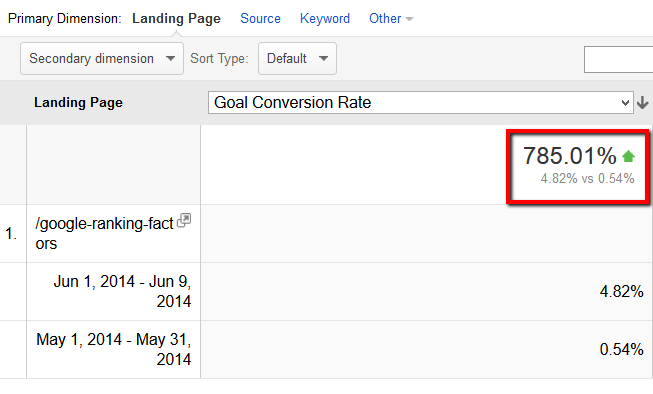 Here's how to embed your content locked checklist into your site. Simply paste the HTML into your post. If you're using WordPress, make sure to paste it into the 'Text' section of your editor. Watch as your list grows! It really is that simple! Monitor how your conversion or subscriber rates are affected to get that sweet satisfaction a content upgrade should bring. Here is the Process Street User Guide task on how to content lock your checklists.